All plates are served with two scoops of rice and your choice of macaroni salad or steamed vegetables. 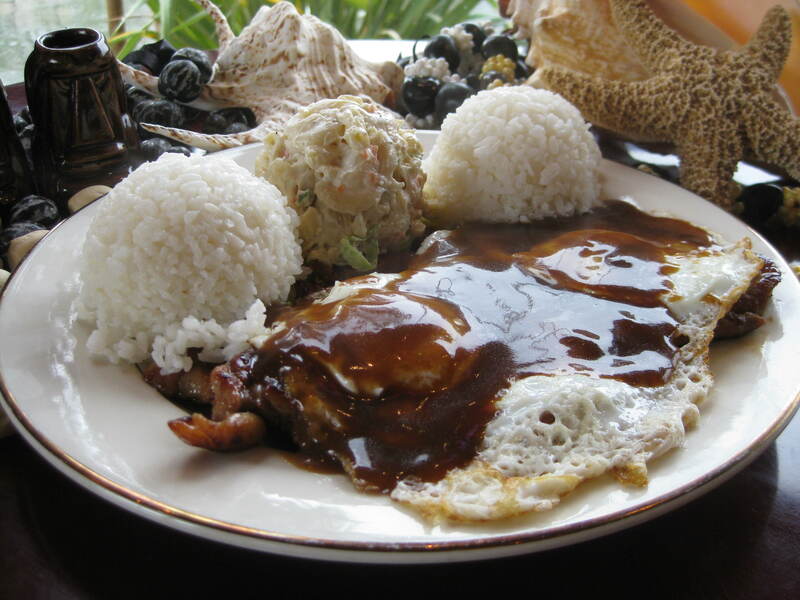 Loco Moco plates are served with two fried eggs over meat and smothered in your choice of brown gravy, curry, or teriyaki sauce. Two angus beef patties and two fried eggs served with brown gravy. A Hawaiian classic.